Many years ago, I asked some friends if I could join them for a prayer meeting they were holding. This wasn’t the answer I was expecting. It wasn’t as if I was asking to go on holiday with them, or join them for a private hot tub, or gate-crash a birthday celebration. In my mind, asking if I could go to the prayer meeting was just a matter of courtesy; I had absolutely no expectation of being excluded. I don’t want to be too dramatic here, but my feelings took a nosedive. There was an immediate physical reaction to this personal rejection as my stomach churned in knots, my throat tightened and both eyes stung as if I was going to cry. I’m not a robust individual, emotionally. So, I had two problems here. One; the feeling of being rejected and therefore worthless, and two; the feeling of guilt that I had taken offence by the rejection. It wasn’t long before the impact of rejection overwhelmed the feeling of guilt. The result of this was that I felt very sorry for myself. Let’s just pick this apart for a minute. Many situations in daily life can push us into this state; I don’t need to run through them here – when we are miserable about something in life we are only too aware what the problem is. The result of allowing ourselves to wallow in these introspective thoughts is that we become self-obsessed. But one day, after living under a cloud for too long, I suddenly realised that I cared more about what other people thought about me than about what God thought about me, and that under these circumstances I couldn’t call myself a discipleA disciple is another word for a follower of Christ, one who is learning to be like his Master. 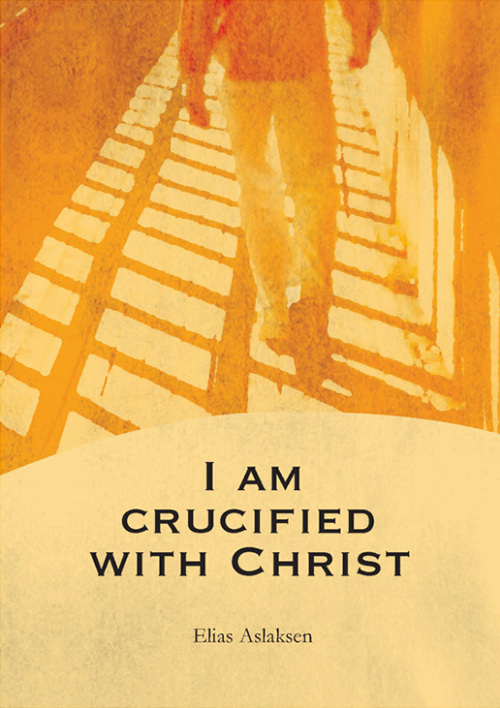 As a disciple you follow Jesus Christ, who is the Master and by living like Him you become more like Him. (Matthew 16:24; 1 Peter 2:21-22)... More. I wasn’t really following Jesus; I was following the whims of other people. When the Spirit gives us light over ourselves and we see something that we have been doing, thinking or feeling that isn’t in agreement with God’s Word then it has to stop. Whether I think I am justified in doing, thinking or feeling that way is absolutely not the point. Yes, it is possible that we stumble around in confusion for a while, but when that confusion lifts, when we see clearly, then we have no excuse to be self-indulgently clinging onto hurt feelings and blaming the actions of other people for the way we are. There are self-help books and therapists that can teach us how to re-frame our negative thought patterns differently, and this can be a useful skill to acquire especially if we are dealing with specific traumas from the past; but this will just address our mental health. When I sense my human nature is involved, that which craves attention and is disappointed, then I need to use God’s Word to get to the root. And when we have expressed our hope and expectation, a wonderful thing happens; God sends His Spirit which fills us with courage and hope, and power to resist the urge to dip back into navel-gazing and wondering where we are in people’s estimation. I drew a line in the sand. It can be that simple, that quick, and that liberating. So, each time I start to have feelings of rejection, I remember that line I drew in the sand, and send up a quick prayer: “Help me now!” and I sense I am becoming more and more free from my nature which so quickly responds badly to negative interaction. And the people who rejected me from their prayer meeting? We now have really good fellowshipFellowship means communion with other Christians who are living the same life that you are. It includes mutual edification and a unity in purpose and spirit that goes far deeper than friendship or human relationships. (1 John 1:7) We also experience fellowship with Christ when we overcome sin in the time of temptation just as He did when He was... More together, and I can talk openly with them with no remembrance of past offence at all. I fought that particular battleAlmost all talk of battles and wars when concerning a Christian life refers to the inner battle that arises when a sinful thought tempts you. God’s Spirit and the flesh are at odds. When you have decided to only do God’s will and are being led by the Spirit, a conflict between the flesh and the Spirit arises: there is... More and won. And that is the power of the gospel – it really does make us free. You may be interested in reading more on our topic page about Relationship with others, or in the articles below. But what will my friends say…?